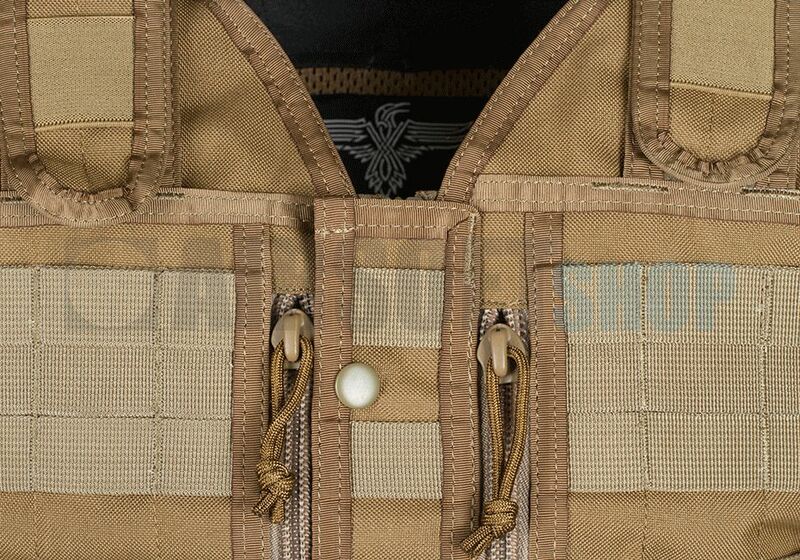 MMV Vest in Coyote Brown van Invader Gear. 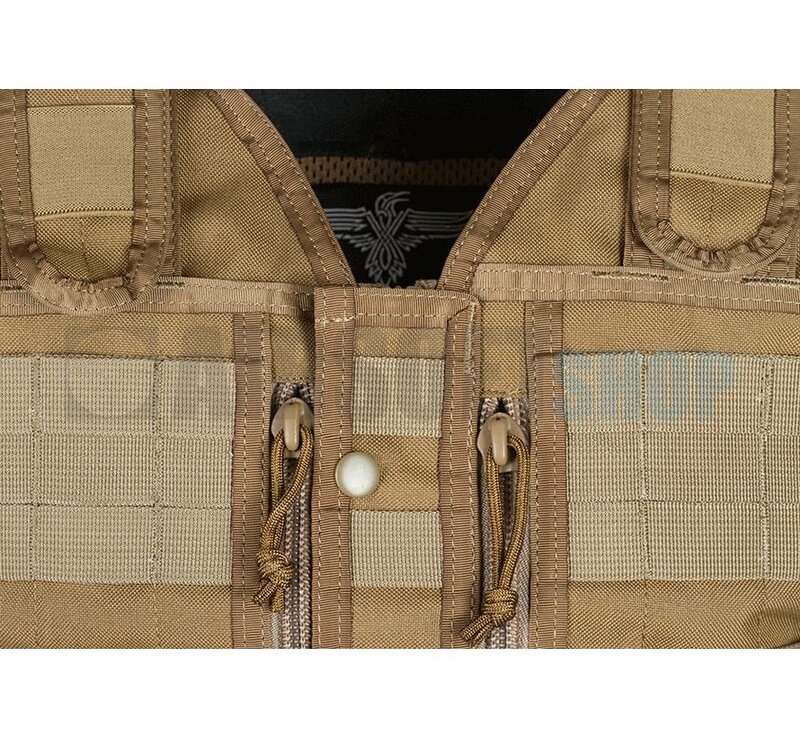 MMV Vest in Coyote Brown van het merk Invader Gear. 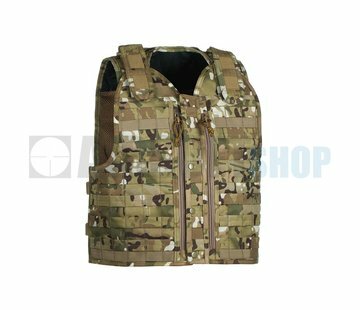 The MMV Vest is based on the molle system (Modular Lightweight Load-carrying Equipment). You can use it in combination over a protection vest or as a single layer vest. 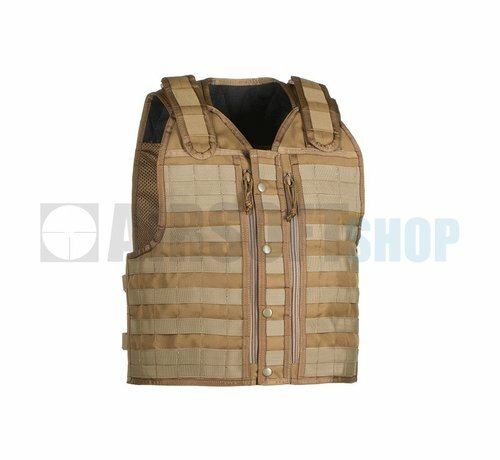 Size can be adjusted very individually with velcro straps on your shoulder and straps on both sides. It's conceptual design allows maximum carrying comfort and has numerous practical characteristics. 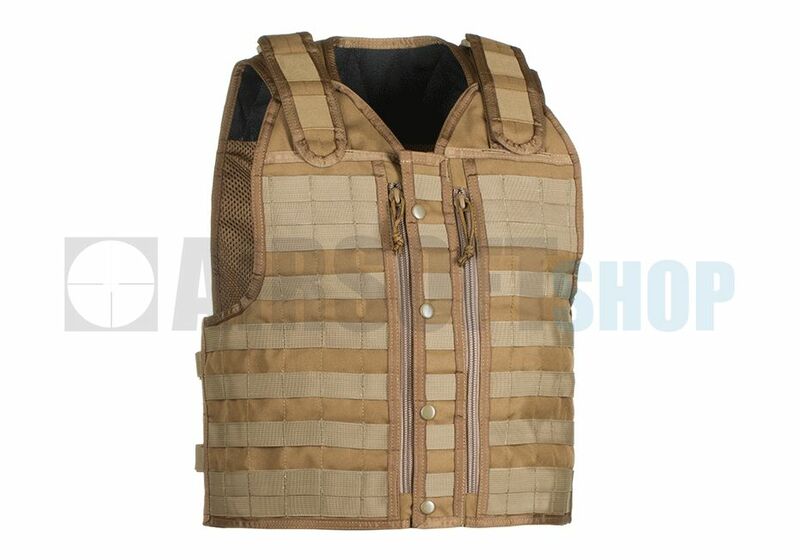 Shoulder and Neck are padded and coated with anti-slipping material. Around the shoulders you'll find four flexible straps for fixing Comtac cables or hydration tubes. 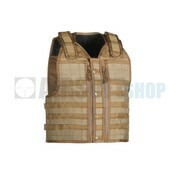 A handle on the upper back side ensures quick and easy rescuing out of danger-zones.